Hey guys and gals, its been a while since ive had anything interesting to post on the forum. As the title suggests I'm working with F+ albino strain. Here are some pics of a tub i had back in june. I shared these pics in chat back then but am posting them here for the first time. 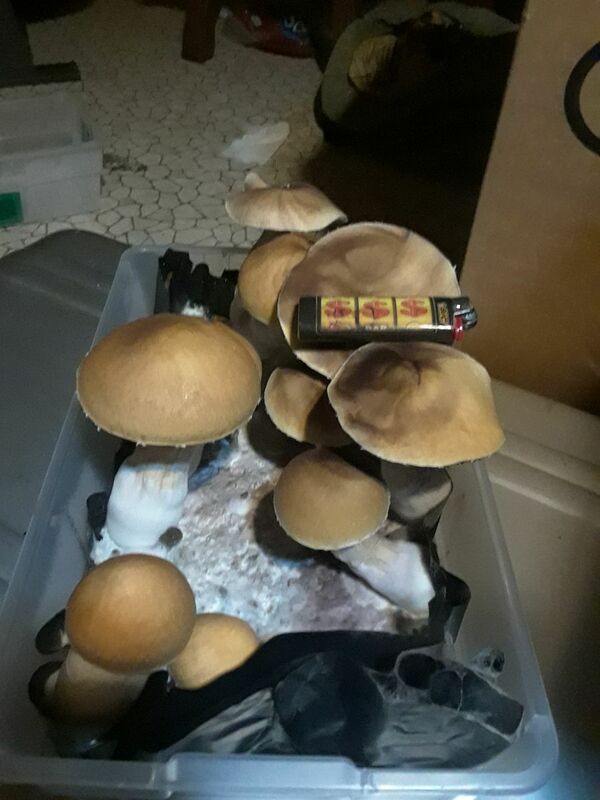 I was really impressed with the size of the fruits that came out of this tub as well as how potent they were. As such I decided to work with this strain exclusively for the time being. My goal is to isolate the fatass gene if I come across it again. 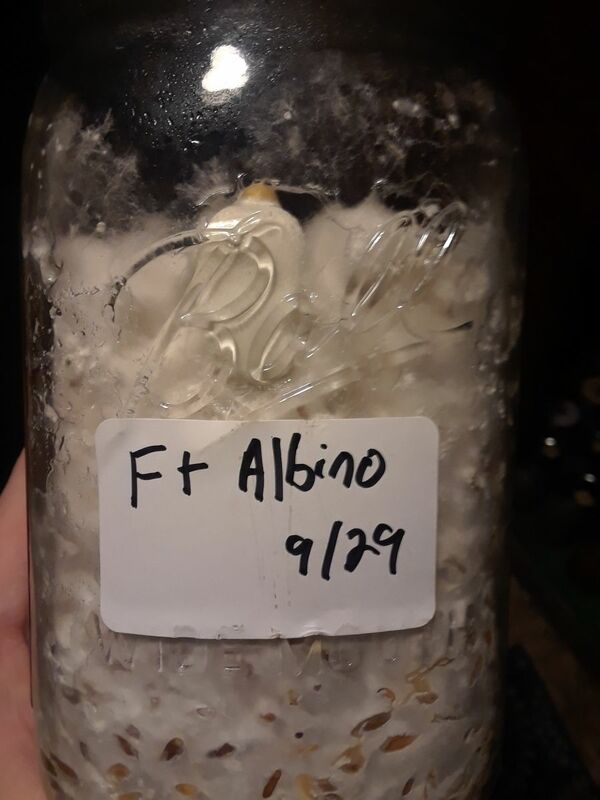 I'd also like to get a clone of an albino, ive seen them come up invitro but neglected the jar too long and wound up tossing it. 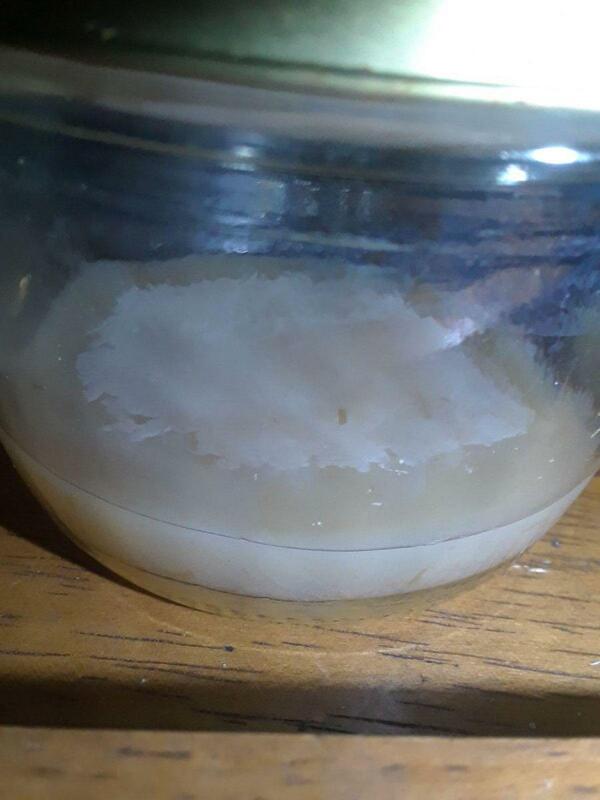 I just checked on some jars that i left a while back in the attic where it gets really cold and found four jars fully colonized one with a fruit invitro. I'll be spawning these in a few days. Very impressive for the size of the tub. Yeah man, the ones i grew on cakes were nowhere near that size. I'm not really sure if its genetic or environmental. Hoping for genetic. Its oats, look a little funky because i left them a bit too long in the jars. At least i think thats why. The attic where they are is quite cold, i had basically given up on these and focused on making new jars, went back to check and they were fully colonized. 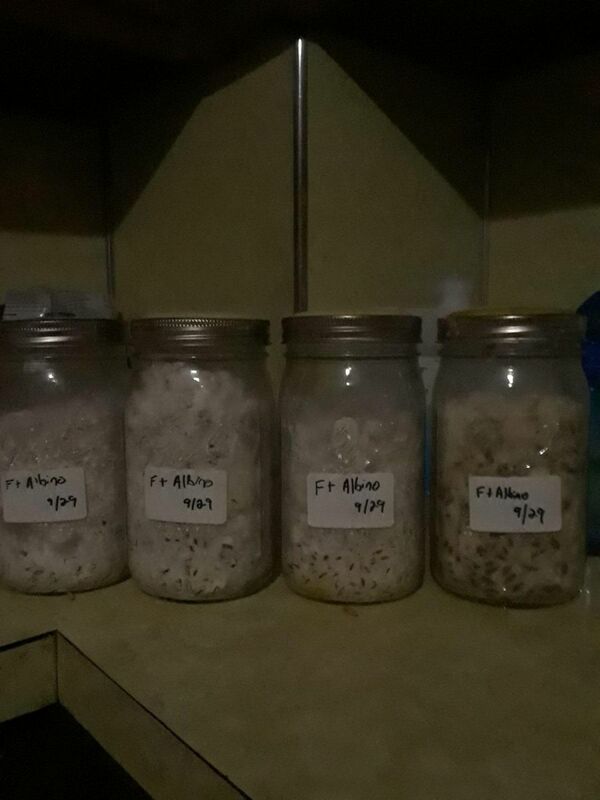 Here are 4 jars of spawn that are ready to go. The one on the right looks a bit iffy to me so I'll give it the smell test before mixing it to the bulk sub. 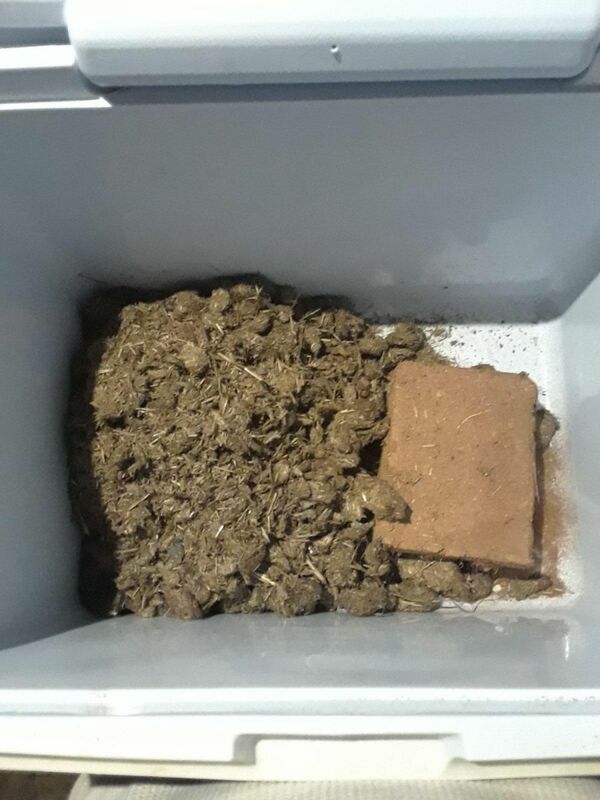 My bare bones substrate consists of 4 quarts of mule poo (collected myself) and 2/3 brick of eco earth coco coir. After this its left over night to pasteurize. I dont know exactly how much water I use and it usually is pretty soupy when i open it and I just squeeze out excess water. If anyone can recommend a water ratio that makes their sub come out perfect im all ears. Thats all for now, I'll be spawning tomorrow. From what I understand it's both with that variance. Those F+'s can get Youuuuge on Bulk. Those were fruited in the attic mid summer so they must love the heat. Nice! Are you saving any spores? And I'm curious. Those jars are dated 9/29. Did they take this long to colonize? Edited by raymycoto, 14 December 2018 - 01:06 PM. They did take that long, they were grown in sub optimal temps and i didnt check on them so they were probably fully colonized long ago. This strain seems to be a bit of a slow colonizer as well. Just a helpful hint..... 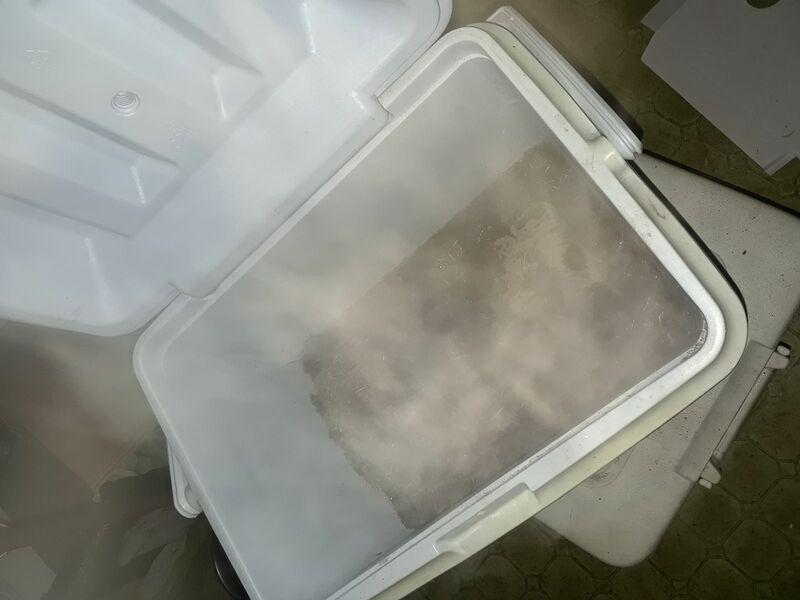 The water you dump in the cooler with the sub can be boiling (212f) and as it meets the dry substrate it actually cools instantly to just under 180f. I suspect some of the prints i took are dirty due to the amount of contams ive been getting. In an effort to remedy this im mixing up some agar. 300g potato slices boiled in 1 liter water for 1 hour. 20g agar 10g agar 2g powdered oats mixed into potato water and poured into half pints with 4 1/8inch holes and a SHIP. Jars are then sterilized at 15 psi for 30 mins. I'm not sure if this method will work for me or not. Won't be using a SAB until making a transfer from the jars. When you folks say SHIP what does that mean? I see it all the time but its one of the only acronym that I'm not accustomed too. 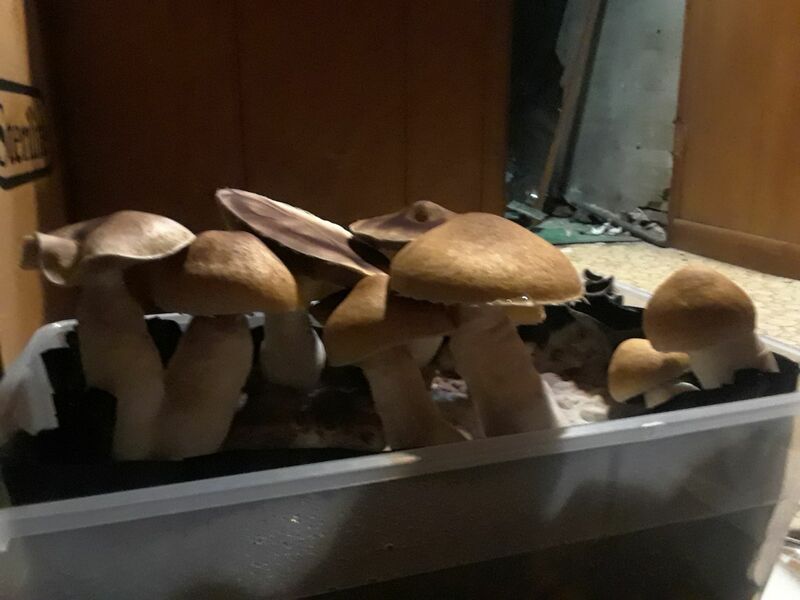 Hey I've got an A/F print lurking somewhere, I've never tried it because I heard it was slow and didnt fruit very well but yours look like they're fruiting well enough. Maybe I should dust it off. Not nearly enough pastuerization with all that manure. 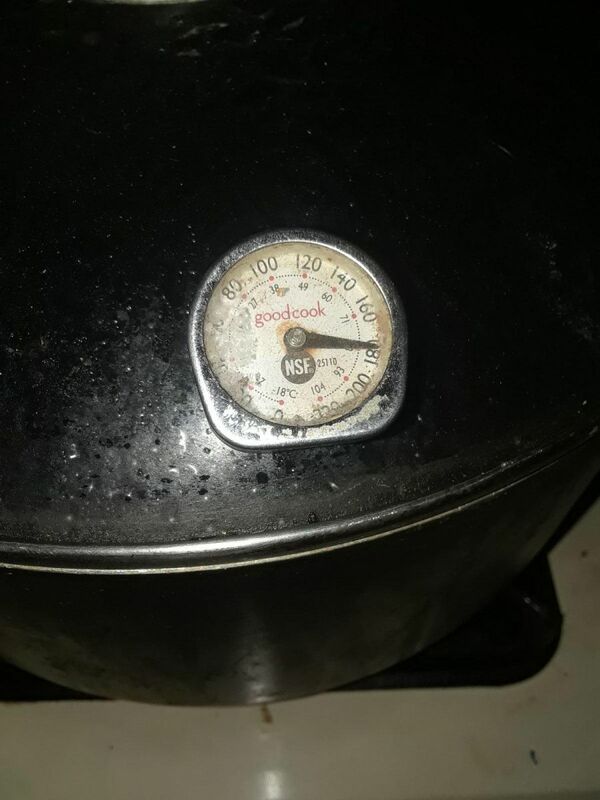 Honestly pouring water in at that temp and leaving it, you won't get any pastuerization. Here is what my agar jars look like after 3 days. Does this look normal?